The Duchess of Cambridge told friends her labour with Prince George was "perfect" and she was thrilled to be able to have a "straightforward" birth. 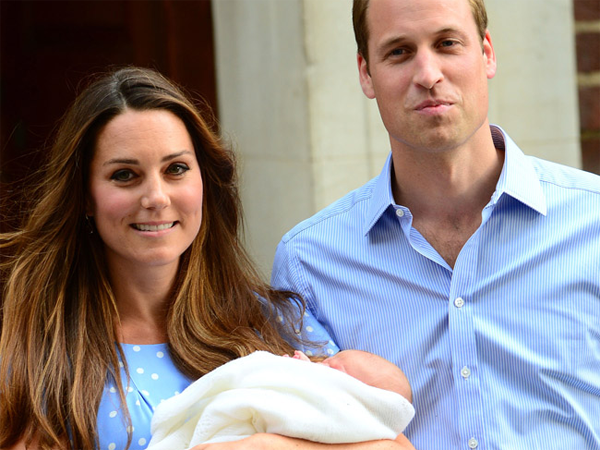 The Duchess of Cambridge's labour with Prince George was "perfect." Kate ? who gave birth to her first child with husband Prince William on 22 July ? confided in friends about the ease of the "straightforward" process and was thrilled there were "no complications". A source told US Vanity Fair magazine, "She spoke to some of her best girlfriends after the birth and described the birth as perfect. She said it was straightforward and there were no complications. She wanted a natural birth and she was so happy she was able to have one." Similarly, her mom, Carole Middleton, took to motherhood just as naturally when Catherine was born on 9 January 1982, 31 years ago. A family friend of the Middletons, George Brown, said, "[It] didn't surprise me. She [Carole] was fit and competent from the word go. She seemed to take to motherhood amazingly well, and when I went round to see her, she was happily breastfeeding and seemed to know exactly what she was doing. “Catherine was a lovely little baby, cherubic and chubby-cheeked and so good. I remember she didn't cry much at all. I think that was probably because Carole was so relaxed."